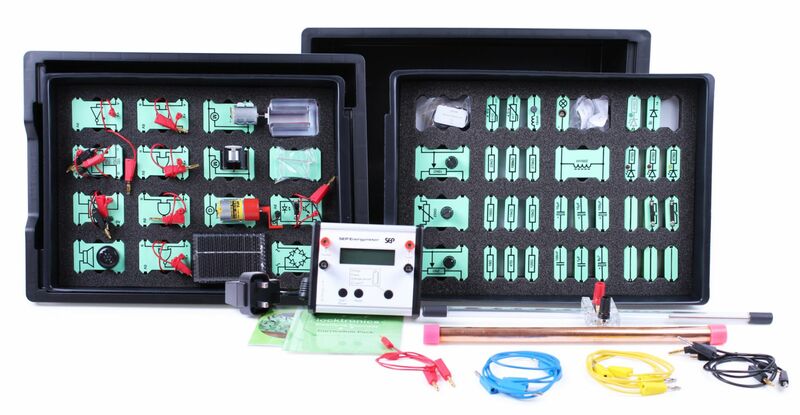 This 'one per class' kit is designed to give you a flexible suite of parts that can be added to the Electrical and electronic principles pack to allow a much wider range of experiments and demonstrations in Electronics from our Operational Amplifiers, PICmicro, Logic and Energy and Environment solutions. The pack also includes useful equipment for teaching Lenz's law, Faraday's law and motor principles. This pack is suitable for Physics extension work and projects. The CD ROM supplied includes workbooks in Energy and Environment, PICmicro investigations, Operational amplifiers and working with logic gates.